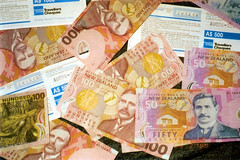 TAUPO – Serial tax evasion has landed a Taupo baker an 8 month sentence of home evasion, despite having paid most of the illicit funds back. On January 26th the Inland Revenue Department issued a new press release showing that the Taupo District Court has sentenced a Taupo baker to 8 months home detention for his continued and determined tax evasion. According to the IRD the owner of the Chelsea Bakery and Lunch Bar, Long Soun, has worked in the bakery since 2005, but was also the owner over the period 2011 to 2014. The government is not taking enough action to help close the gender pay gap, and pay differences within some government departments highlight the extent of the problem. On January 22nd the Green Party issued a new statement calling on the government to take action to address the gender pay gap in New Zealand. The statement by the Green Party follows the release of a new report by the State Service Commissions which showed that there is still a significant gap between the salaries paid to women working in the state sector, and to men working in the state sector. The report showed that in some government departments, men enjoyed salaries which were as much as 39 percent higher than women’s salaries. The number of new buildings being built in New Zealand is nearing record levels, while the value of the homes is higher than ever. For the first time ever, the value of consents granted for residential buildings in New Zealand over the course of 1 month has surpassed NZD 1 billion. The total number of consents granted for new buildings in November 2015 reached 2 831, an increase of 17 percent over the same month in 2014. The total value of the residential buildings consented in November was NZD 1.1 billion, while the value of non-residential buildings came to NZD 531 million. The level of new consents is the highest on record aside from March 2005 when 3 027 buildings were consented. The seasonally adjusted number of consents granted in November was 1.8 percent higher than in October.